Carving is undoubtedly a great skill. This is actually the art of using tools to shape something from a material by scraping away portions of that material. Though this technique could be applied to any material that is solid enough to retain its form, but most of the times carving is done on the wood. In our daily life we witness countless carved wooden articles. These carved articles include wooden doors, shelves, decoration pieces, windows and any wooden item that is being used in our practical life. The art of carving escalates the beauty of wooden items by ten times. As we have discussed here in this article that it includes many wooden items including decoration pieces. Decoration pieces have also become a must have for our home interiors. We want to make our home much better with every passing day. Mere walls and doors can’t beautify our homes, these carved wooden decoration pieces like carved flowers enhance the beauty of indoors. 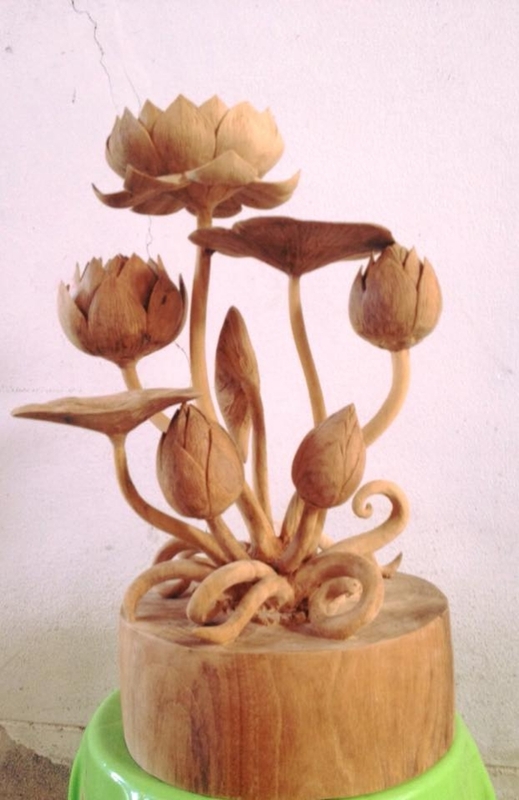 Now coming towards the project of the day, we see here a great carved wooden flower. Look at its beauty and structure, it seems pretty flawless. A superb amalgamation of beauty and skill is demonstrated here. 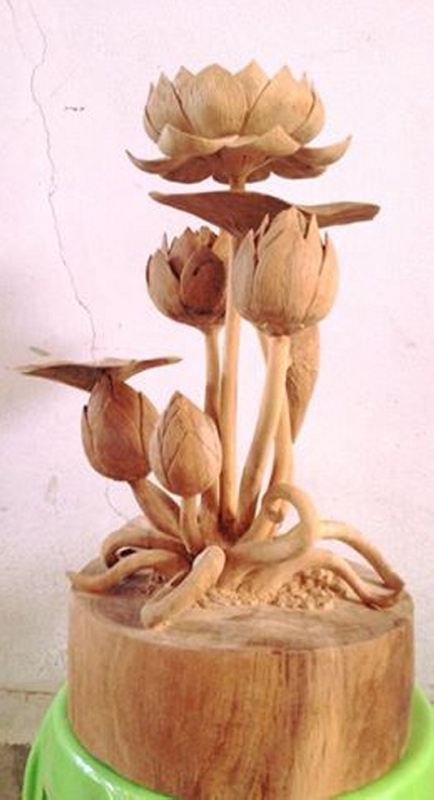 The carved flower is made out of wooden material. In this wooden carved flower we see that the flowers are just about to bloom, which give us a secret message of bliss and hope. The crafter has demonstrated the flawless expertise in carving this flower. It is imitating the real one in a very perfect manner. This can best used as a decorative or center piece anywhere in your house. And its charm and charisma is going to unleash a lot of fascination towards every visitor of your house. Probably the best decoration piece that is carved on wood by a crafter.